Russia has more spies in Britain now than it did during the Cold War! There are more than five times as many Russian intelligence officers now than there were during the Cold War, according to a report uncovered by The Sunday Times. The findings come from a report by the Henry Jackson Society following their interviews with former intelligence officials. The report will reveal that there are an estimated 200 spies in the UK and at least 500 agents providing information. 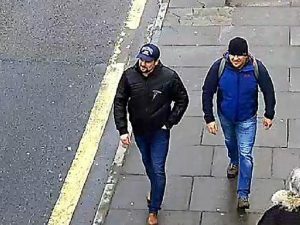 The figures come amid an increasing fear of Russian infiltration and espionage in the country following the attempted murders of Sergei and Yulia Skripal in March this year. The father and daughter, who were poisoned with a military grade Novichok nerve agent, were discovered unconscious on a bench in Salisbury on March 4 before rescue services were called to the scene. CCTV footage of the two alledged spies in London... Would you spot them?? Months later police were investigating a second case of Novichok poisoning after victims Dawn Sturgess and Charlie Rowley were exposed to the nerve agent. Mother-of-three Mrs Sturgess, 44, died after her exposure to the lethal poison. 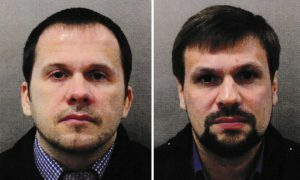 Two Russian men, travelling under the names of Alexander Petrov and Ruslan Boshirov, were later charged for the poisoning in Salisbury, Wiltshire. Following the attempted murder of the former KGB spy Sergei Skripal, 23 suspected intelligence officers were expelled from the UK. However about half of the 56 accredited Russian diplomats still in London are still believed to be involved in intelligence work, these will be exposed in the report. It will also unveil that there are several spies based at the Russian trade delegation office in Highgate and the Rossotrudnichestvo cultural centre in Kensington High Street. Author of the report Andrew Foxall said that the capital is 'ill-equipped' to deal with the worrying espionage figures. In 2010 the MI5 had said the number of Russian intelligence officers in London was at the same level as in Soviet times. 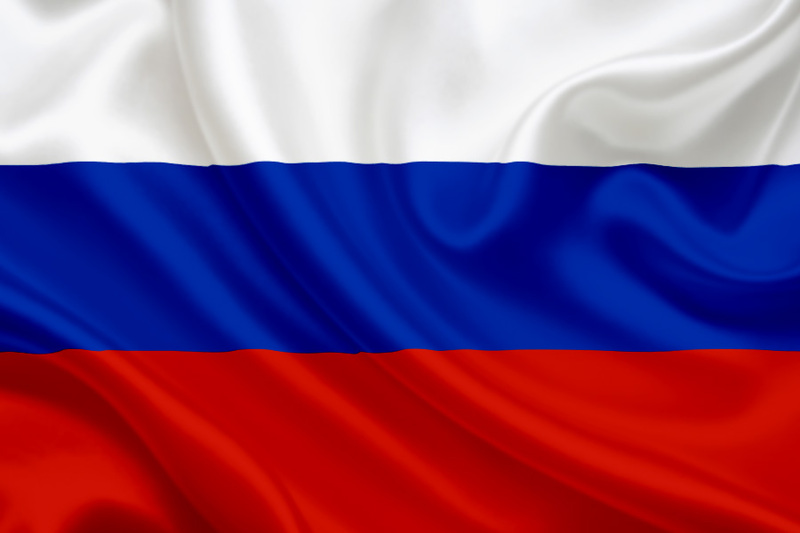 http://www.spy-games.com/wp-content/uploads/2018/10/russia-flag.jpg 600 900 James Sullivan http://dev.spy-games.com/wp-content/uploads/2016/11/spy-games-300x172.png James Sullivan2018-10-22 08:22:312018-10-22 08:22:31Russia has more spies in Britain now than it did during the Cold War!